"Accurate Energy Audits saved me THOUSANDS of dollars! I was about to spend a lot of money on some home improvements in an effort to make my home warmer in the winter. I knew my home had some faults and I *thought* I knew what they were. On a whim, I had Accurate Energy Audits come perform an audit. The cost of the audit was pennies compared to the cost of repairs and improvements that I was about to make. The results from Accurate Energy Audits astounded me. The problem areas I actually have were far different than the problems I thought I had. Translation... Accurate Energy Audits saved me from spending thousands of dollars on my home in the WRONG areas. For this, I am extremely grateful and thus I would highly recommend this service. By the way, Accurate Energy Audits isn't providing their opinions or "best guesses", they are providing you with the demonstrative evidence (pictures, measurements, data, etc.) so that you can come to your own conclusions." "Wow...Joe really knows his stuff! He is extremely informative and educated me on a number of different measures I can take to make my home more efficient and save money on heating and cooling bills. He walked me through my home and showed me exactly where I am losing heat. I would highly recommend Accurate Energy Audits to anyone looking to save money, have a more comfortable home, and be more green!" I would highly recommend Joe - My bill are less!! Probably (estimated based on bills) saving me a thousand in energy cost the first year alone." 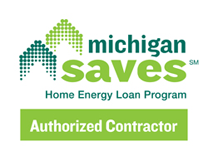 "Joe completed an audit on my home and opened my eyes to all of the areas of my home that were causing comfort issues and high utility bills. He then sent over a list of easy to understand recommendations that we had completed. The difference in my home has been night and day after completing Joe's recommendations! I would recommend Accurate Energy Audits!" "Very professional, gave me several recommendations to make my house more efficient." "They gave us a lot of great advice on how to save on our energy bills." "Couldn't believe how much more comfortable our house was after we followed their advice." "They were very thorough and professional when they recently performed our energy assessment. They not only explained what they were doing during each step, but also why each process was done, and more importantly how to correct the energy deficiencies in our home. After implementing the improvements our energy bills are far less and more than compensate for the charge of the audit. We were impressed by the written report and the prioritized list of recommendations. Thanks again, and we will be sure to recommend you to our friends and neighbors."